KSRTC has decided to introduce one double decker bus for students and other tourists on rental basis as part of Heritage City Tourism in Kerala. 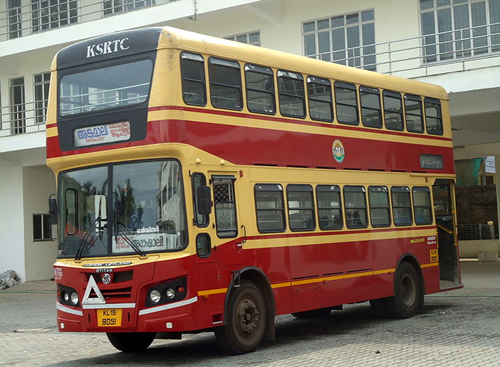 This 15 year old bus was become a prominent part of the history of KSRTC and was attracted by everybody. This decision was taken by considering the long cherished ambition of the students and tourists, and can be used during day time only. 3% of rent shall be deducted for any cancellation.